3 Oz. White Plastic Cups - 80 Ct.
Our line of colored disposable paper cups are made from premium-quality, medium-weight paper, and can be used for hot drinks and cold drinks. 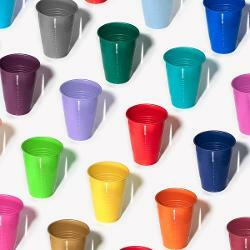 Available in more than a dozen solid colors, these paper party cups come in packs of 8. The cost of paper cups package is just $0.89. 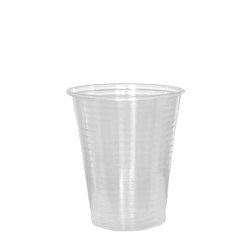 Hence, you can even order these cheap paper cups in bulk for big events. 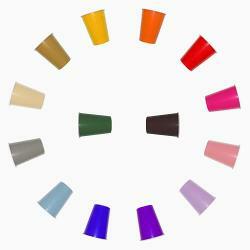 FDP sells perfect wholesale paper cups at highly discounted prices. Browse our tableware section to color-coordinate these insulated paper cups with the rest of our solid color Paper Plates and other tableware.